In response to the haemorrhagic dengue fever pandemic currently sweeping the planet, CNES and Sanofi Pasteur are joining forces to develop predictive mapping techniques for risk zones. 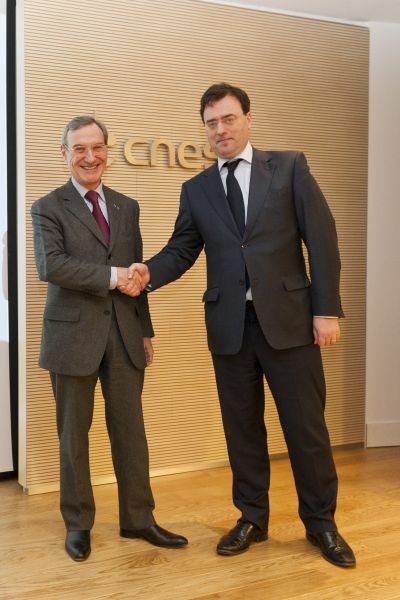 CNES President Yannick d'Escatha and Sanofi Pasteur Chairman and CEO Olivier Charmeil sign the partnership agreement on 6 February at CNES headquarters in Paris. Credits: Sanofi Pasteur / Jean Fotso. Dengue fever is a viral infection borne by certain species of mosquito that today threatens nearly half of the world’s population. The haemorrhagic form of the disease, which often requires hospital treatment, has become widespread in recent years and can swamp local health services in a matter of days. The challenge facing CNES and Sanofi Pasteur is therefore to develop a model capable of predicting the risk of outbreaks of the disease to help health authorities prepare to respond. To this end, CNES will be combining its expertise in tele-epidemiology and satellite imagery with that of scientists working in fields as varied as entomology (the study of insects), sociology, microbiology and meteorology. 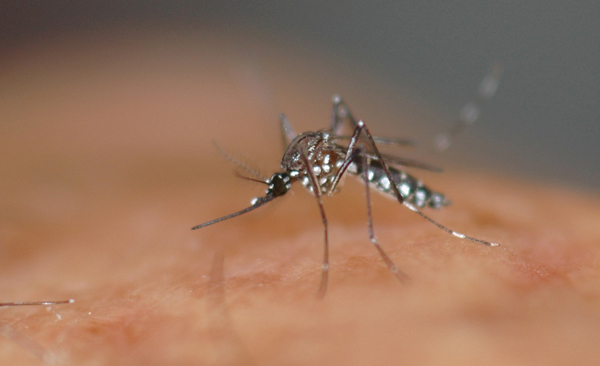 The Aedes aegypti mosquito is the carrier of dengue fever. Credits: IRD/Michel Dukhan. This first-of-a-kind partnership between the French space agency and a leading player in healthcare will give CNES the opportunity to exploit the tele-epidemiology approach—based on risk maps compiled from satellite data to show when and where mosquitoes are likely to breed—that it has successfully developed to help combat Nile Valley fever and malaria. In this context, the recent launch of the high-resolution Pléiades imaging satellite will pave the way for better detection and a closer understanding of the environmental factors that contribute to the onset of epidemics.